Here are some additional information about our trip to Namibia. We took some 140 kilograms with us. 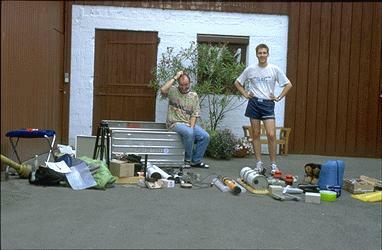 And here you can see the box with all the necessary equipment. We loading the box with all the stuff. 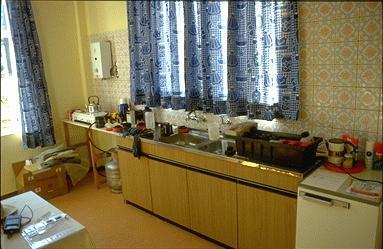 The kitchen of our rooms at Tivoli, loaded with film processing stuff.